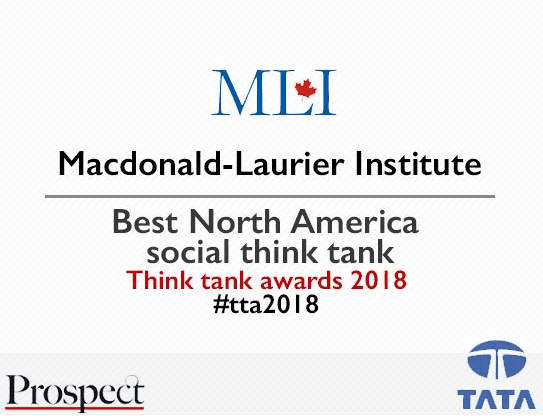 The Macdonald-Laurier Institute is honoured to have received the 2018 Prospect Magazine award for Best North America Social Think Tank. 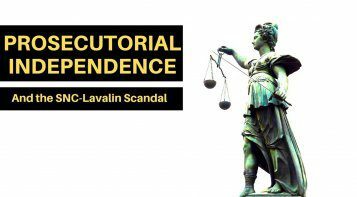 OTTAWA, ON (July 18, 2018): Last night, the Macdonald-Laurier Institute’s work on criminal justice reform was recognized for its impact in shaping the public discourse, influencing public policy, and producing high-quality thought leadership on this crucial issue. 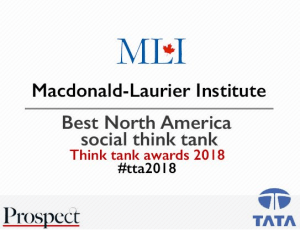 MLI is humbled and honoured to have received the 2018 Prospect Magazine Think Tank Award for Best North America Social Think Tank. 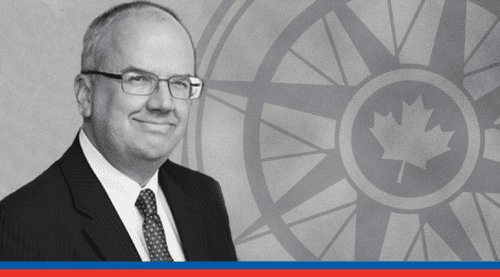 MLI Munk Senior Fellow Alastair Gillespie was on hand to accept this honour at the award ceremony in London, UK. This award was presented to MLI for standing above other think tanks with its Justice Report Card project. Led by MLI Munk Senior Fellow and UBC law professor Benjamin Perrin and Memorial University economist Rick Audas, the Justice Report Card looks at a number of key measures, such as access to speedy trials, recidivism rates, rates of mistrials and errors by police or prosecutors, costs of maintaining prisons, access to legal representation, and more to determine whether those who are accused of crimes are treated fairly, and whether other Canadians can depend on the courts to keep them safe. 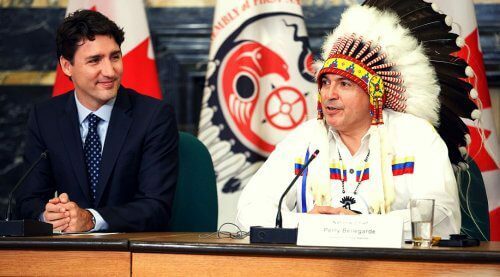 Of additional note, organizers applauded MLI’s attention to and expertise on Indigenous issues in Canada. 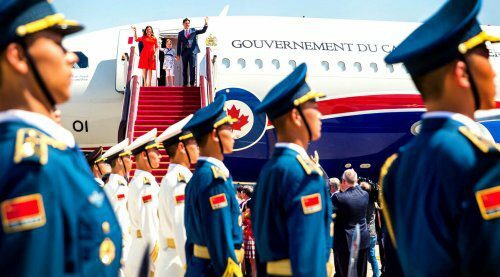 “We are delighted to have been recognized with such a prestigious international award, especially given that our competition included some of the biggest and best-regarded think tanks in the world,” said MLI Managing Director, Brian Lee Crowley. Founded in 2001 by Prospect Magazine, the Think Tank Awards are an annual recognition of the important and inﬂuential work carried out by think tanks across the globe. 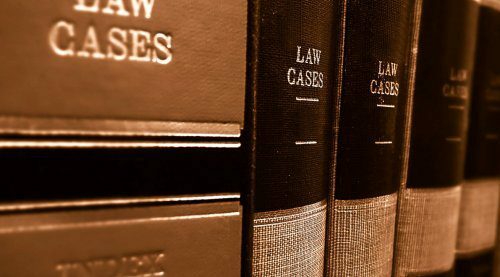 The awards are judged by an independent panel who look for evidence of inﬂuence on public policy and discourse. Judges also consider the quality of research when determining the winners. 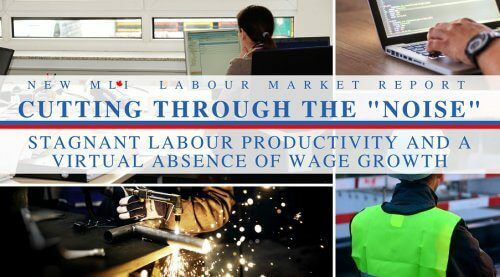 To learn more about MLI’s award-winning work, check out the Justice Report Card.